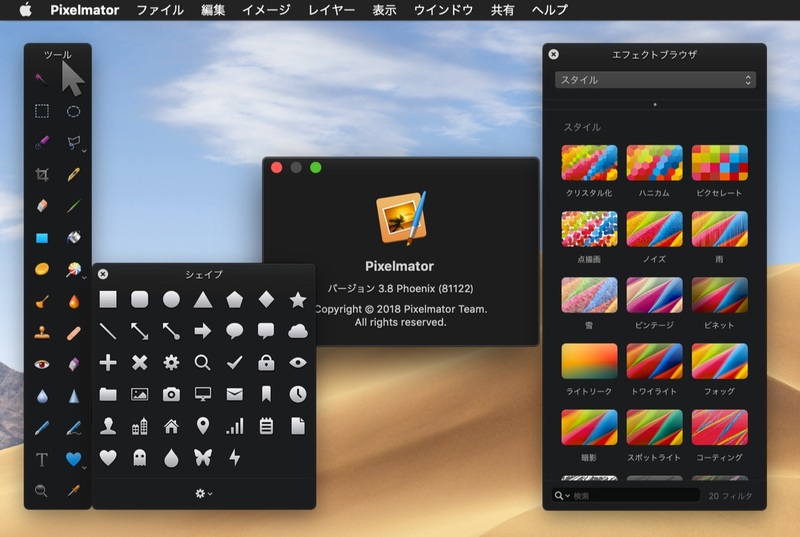 macOS 10.14 MojaveのSVGフォントや連携カメラ機能をサポートしたMac用グラフィックアプリ「Pixelmator 3.8 Phoenix」がリリース。 | AAPL Ch. 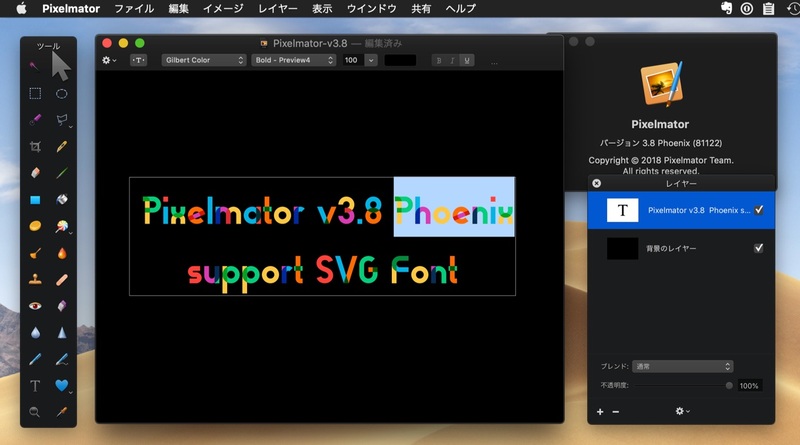 Pixelmator 3.8 Phoenix brings full support for macOS Mojave, colorful SVG fonts, Continuity Camera support, and more. 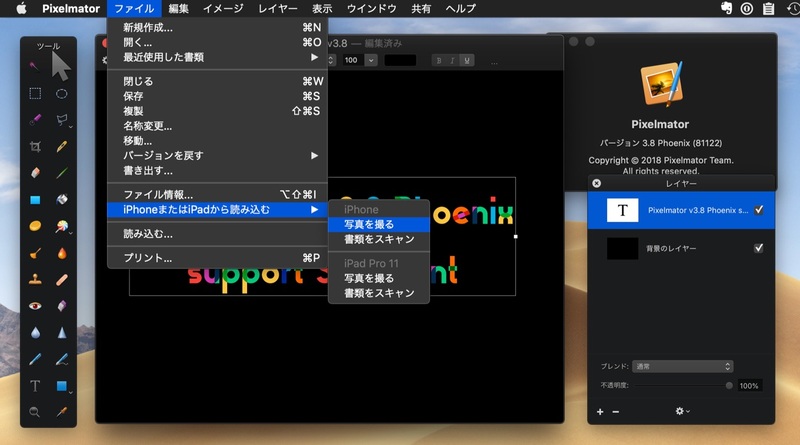 Pixelmator is now fully compatible with macOS Mojave. With support for SVG fonts, you can now create richer, more vibrant graphics and designs — the Gilbert Color font is included in the app. Thanks to support for the Continuity Camera, you can now take pictures using your iPhone and have them instantly appear in the Pixelmator document you’re editing.